Freeway Rick Ross Pens Letter In Response To Rapper Rick Ross’ Comments On Identity Lawsuit. 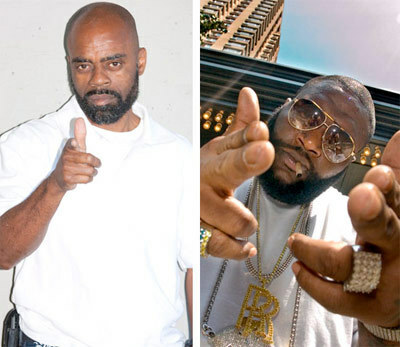 Rapper Rick Ross recently commented on Freeway Rick Ross’ identity lawsuit still being alive, on Funk Flex’s show on Hot 97. In a response to the same, Freeway has sent us this letter where he addresses Rozay’s claims and explains why he is being treated in an unfair manner. This is Freeway Rick Ross, I’m writing this to reply to William “Rozay” Robert’s interview with Funkmaster Flex last night addressing my lawsuit. In the streets a name is everything, in Hip Hop it is a career maker. William claims that we are both street dudes and could’ve talked; he and his music label had that chance and thought they could ignore me because I had a life sentence. In prison when you have a federal life sentence you’re considered the walking dead, it is exactly for this reason that they dodged me when I sent multiple requests from prison to sit down about the use of my name and image. When I finally chased William down through my guys on the street, we talked via phone, he gave me a number, and said he would come down to the prison to “chop it up”. He never came, then changed the phone number. 50 Cent A Licensed Boxing Promoter.